It quite annoyed me that you can only use the scraperwiki library on a ScraperWiki instance; most of it could work fine elsewhere. So I’ve pulled it out (well, for Python at least) so you can use it offline. You can then import scraperwiki in scripts run on your local computer. 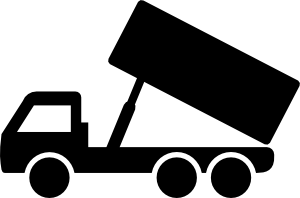 The scraperwiki.sqlite component is powered by DumpTruck, which you can optionally install independently of scraperwiki_local. And if it can’t be encoded to JSON, you get an error. And when you retrieve it, it comes back as a list rather than as a string. SQL is less sensitive to case than Python. The following code works fine in both versions of the library. Note that the key in the returned data is ‘shopping_list’ and not ‘sHOpPiNg_liST’; the database uses the first one that was sent. Now let’s retrieve the individual cell values. The code above works in both versions of the library, but the code below only works in the local version; it raises a KeyError on the hosted version. Here’s why. In the hosted version, scraperwiki.sqlite.select returns a list of ordinary dictionaries. In the local version, scraperwiki.sqlite.select returns a list of special dictionaries that have case-insensitive keys. Here’s a start at developing ScraperWiki scripts locally, with whatever coding environment you are used to. For a lot of things, the local library will do the same thing as the hosted. For another lot of things, there will be differences and the differences won’t matter. If you want to develop locally (just Python for now), you can use the local library and then move your script to a ScraperWiki script when you’ve finished developing it (perhaps using Thom Neale’s ScraperWiki scraper). Or you could just run it somewhere else, like your own computer or web server. Enjoy! Is there anything like this for Ruby? Hi, I’ve tried to install scraperwiki but need pdftoxml module, can’t for the life of me find the module to install! Please could you advise where to find the module?